Install from official site https://www.iterm2.com/ and set theme to Solarized Dark theme. Install Meslo font, or see the rest of the free fonts, https://github.com/powerline/fonts. iterm2 > Profiles > Text > Change Font to "Meslo LG M DZ Regular for Powerline". iterm2 > Profiles > Keys > Load Preset... and select "Natural Text Editing". Make sure Zsh is installed with latest version. It should return zsh 5.2 or more recent. If not, install with brew. Check default shell with echo $SHELL. MacOS default shell is /bin/bash. 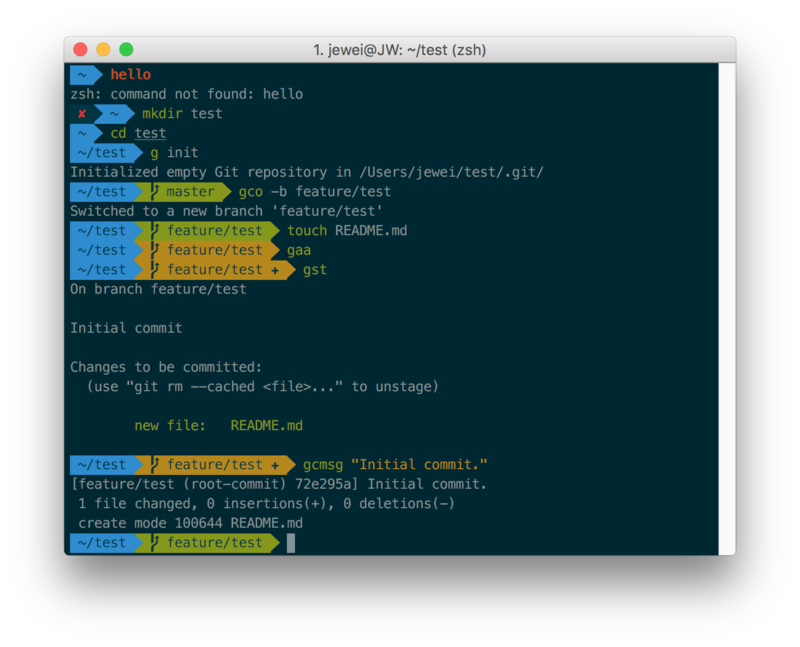 Find out the file path of zsh installed by brew. It should be /usr/local/bin/zsh. Check available shells with cat /etc/shells. If the brew's zsh is not in the list, add it to the list. Make Zsh the default shell. To use the theme shown above, set ZSH_THEME="agnoster" to .zshrc. For shorter prompt style, to remove "[email protected]", set DEFAULT_USER to to the value of whoami in ~/.zshrc.